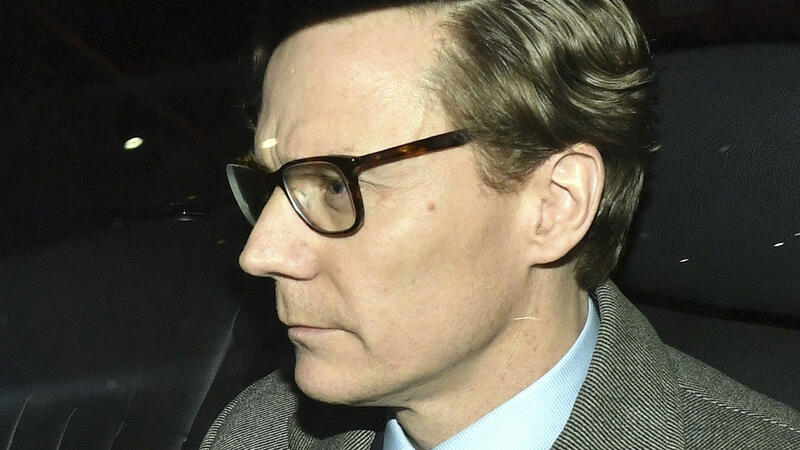 Cambridge Analytica Chief Executive Alexander Nix leaves the company's offices in central London on Tuesday. He was suspended amid a controversy about the company's use of social media data. In the third installment of a hidden-camera exposé by Britain's Channel 4, in a conversation between CEO Alexander Nix and two other Cambridge Analytica executives with an undercover reporter, the company officials also appear to allude to tactics that may violate U.S. campaign finance laws. Nix tells the reporter, posing as a political consultant seeking help with campaigns in Sri Lanka, that he has met Donald Trump "many times," while another senior executive says the "defeat crooked Hillary" advertising campaign was the brainchild of the firm. "We did all the research, all the data, all the analytics, all the targeting, we ran all the digital campaign, the television campaign and our data informed all the strategy," Nix told the undercover reporter. "We just put information into the bloodstream of the Internet and then watch it grow, give it a little push every now and again over time to watch it take shape," he says. 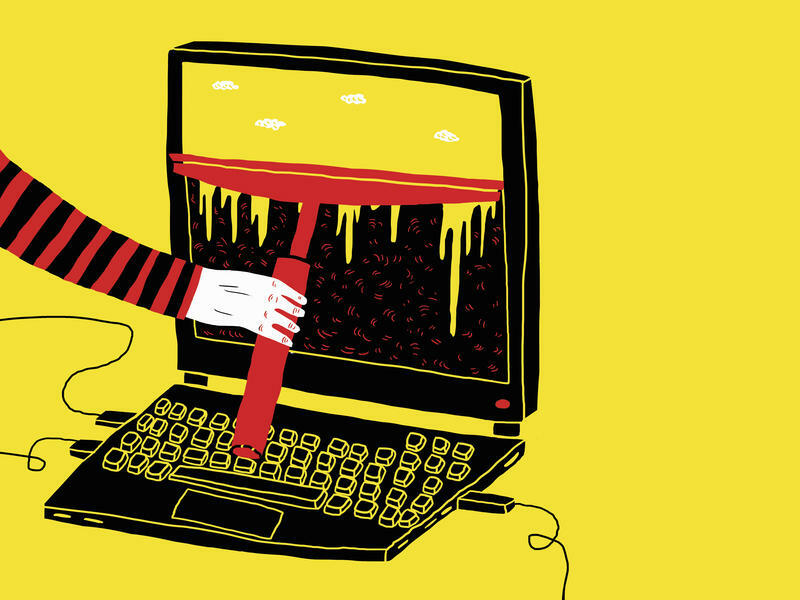 "And so this stuff infiltrates the online community, but with no branding, so it's unattributable, untrackable." To help disseminate that information, the managing director of CA Political, Mark Turnbull, describes using "proxies," such as charity and activist groups. "[We] use them — feed them the material and they do the work." As we reported Tuesday, Nix has been suspended from the company following the broadcast of the first part of the Channel 4 report in which he is heard describing political dirty tricks used to compromise and undermine targeted politicians on behalf of their clients. In the latest report, executives said the data analytics firm's efforts had managed to get Trump elected by just 40,000 votes in three states, despite having lost the popular vote by more than 3 million votes. 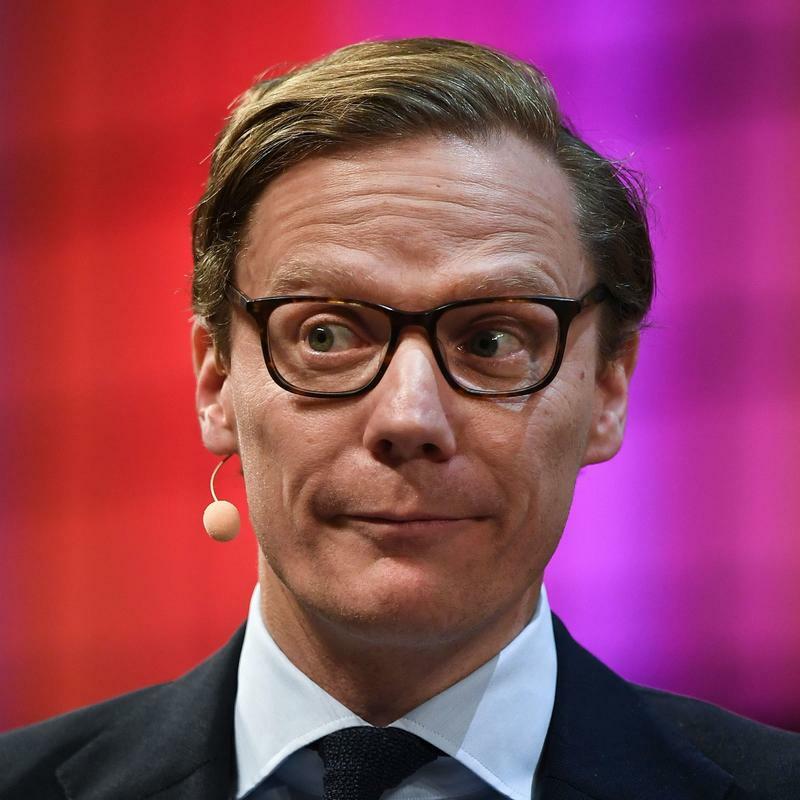 Cambridge Analytica's chief data scientist, Alexander Tayler, who has been tapped as interim CEO following Nix's suspension, says "sometimes you have to separate" Cambridge Analytica's spending "from the political campaign itself." "So, in America you know there are independent expenditure groups running behind the campaign ... superPACs, political action committees," he explains. "So, campaigns are normally subject to limits about how much money they can raise. Whereas outside groups can raise an unlimited amount." "So, the campaign will use their finite resources for things like persuasion and mobilization and then they leave the 'air war,' they call it, like the negative attack ads to other affiliated groups," Tayler says. If Tayler's comments are meant to suggest coordination between those PACs and the campaigns, it is illegal under U.S. election law. Politico on Tuesday quotes an unnamed Trump campaign official saying that the 2020 campaign has no contracts with Cambridge Analytica and no plans to use the firm. The official said the firm only "provided limited staffing" during the 2016 campaign and that none of the company's data was used. Cambridge Analytica, which was founded by former White House adviser Steve Bannon and deep-pocketed Republican donor Robert Mercer, charges that the Channel 4 reports are misleading and deceptively edited. In a broadside of tweets on Tuesday, the company listed a number of "myths" about the use of social media data and its dissemination of "fake news." Meanwhile, Facebook has been under continuing pressure to explain how the accounts of some 50 million of its users were mined for data used allegedly to microtarget campaign messages. In a company statement on Tuesday, Facebook said it was "working around the clock" to get all the facts and take appropriate measures going forward. "The entire company is outraged we were deceived," the statement continued. "We are committed to vigorously enforcing our policies to protect people's information and will take whatever steps are required to see that this happens."